Whilst we are busy working on season 3 we wanted to share this conversation recorded live at BETT 2019. Titled 'If She Can See It, She Can Be It', host Anjali Ramachandran chats to Chiin-Rui Tan founder and CEO of Rho Zeta AI, and Elena Sinel Founder of Teens in AI, and asks what will it take to inspire the next Ada Lovelace or Rosalind Franklin? We'll be releasing more bonus episodes throughout March and April and season 3 will be landing this summer. As technology plays a greater role in the workplace how can we ensure the future of work values humanity? The world of work is changing. Technology is undoubtedly driving a lot of that change. But technology is nothing without people. While conversations are had about the development of automation and AI into the workplace, it's essential we don't forget the human factor. If the pace of change continues the idea of 'a job for life' may become a rarity as people will have to develop new skills throughout their working lives. In this episode we talk to students thinking about their futures, educators helping women develop new skills later in life, and workers whose day is controlled by an algorithm via an app. In this episode we hear one story from one person, Kate Edwards. Kate tells the story of a day when her life changed forever. On a train heading to London, at just 23 weeks and 5 days pregnant, Kate went into labour. What follows is her story of that day. It's a story about efficacy in medicine and what can be learned and applied in the field of education and beyond. It's about the importance of having diverse teams and the power of focusing on outcomes. And it's about what can be achieved when using evidence to deliver those outcomes. It also tells another tale. It's the story of someone who at the time felt they had personally and physically failed - and what they went on to do next. We just want to give listeners a little heads up. There are moments in this story that some people might find upsetting. For many young people who are making decisions about their future, science and art have always been seen as opposites. It's a choice between one or the other. Rarely both. But as Albert Einstein once said "The greatest scientists are artists as well." Innovators are able to imagine the unimaginable thanks to the marriage of science and art. In this episode we examine the role of science and art in imagination and education, and talk to seven remarkable women who are bridging the divide. From a neuroscience professor using stand-up comedy to help people understand the brain, to a Hollywood actress and scientist who combines both disciplines in all of her work. In this episode we’re looking at resilience, school shootings and activism. We speak to survivors, teachers, neurologists and trauma experts to understand the role tech, institutions and support groups play in building resilience in the aftermath of tragedies like Columbine and Parkland. We’ll be talking about some tough topics this week — school shootings, gun violence, and the experience that lives on via the Internet — and some listener discretion may be advised. When it comes to invention and innovation it's important that ideas from a diverse set of people get made. Ideas can come from anyone. But bringing ideas to life rarely happens by lone inventors. They are the result of teams and networks. What happens if you have no access to networks? No entrepreneurs to fund your startup, or alumni to lend a hand? Think of the great innovations that never happen. How many amazing innovations have been lost simply because no-one listened? In this episode, we discuss lost potential, and how we identify and nurture talent in young people when the odds are stacked against them. In this episode we discuss how STEM (Science, Technology, Engineering and Mathematics) role models from all walks of life are essential for young people, and what needs to be done to ensure that those who want to be it, can see it. 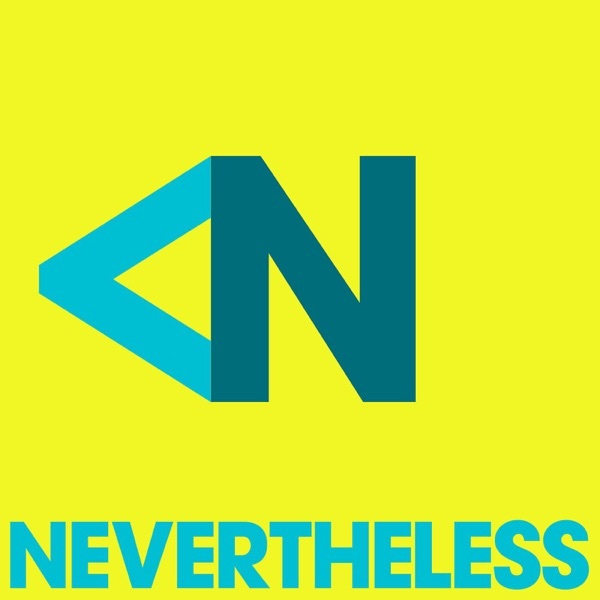 Season 2 of Nevertheless starts Thursday 16th August. In Season 2 we’ll be asking the difficult questions around our relationship with technology in education. We will be highlighting the achievements of the brilliant women using technology to make a better future for learners. And give a voice to the young people whose lives are being immediately affected by modern day events and technology. Good intent is nice, and goes a long way sometimes — but if the result of good intentions is a bad outcome, then whatever the intent, it’s kind of irrelevant. Unfortunately there are plenty of examples of good intentions paired with bad outcomes. In this episode we look at a failed product that excited everyone — except the people who had to use it. We chat to women who are working closely with users and communities and analysing data to ensure their tech solutions solve real problems. And we discuss the difference between forcing change, and encouraging it; between assuming you know what people need and asking them in advance. In this episode we look at how to most effectively bring education — a key human right — to the displaced and those in conflict zones around the world. We speak to women who are trying to answer that question in innovative ways — from the software companies battling it out for Silicon Valley’s $15 million Global Learning XPRIZE, to the low-tech approach to teacher training in Lebanon by a nonprofit backed by Syrian expats. We speak to Brookings’ Rebecca Winthrop — a senior fellow and director of the Center for Universal Education — about her latest report Can Education Innovation Help us Leapfrog Progress? We then chat to Emily Musil Church from the X-Prize about their Global Learning Prize. Fathima Dada tells us about some of the frugal innovation initiative Pearson Education are running at the moment. And finally we meet Suha Tutunji director of the Jusoor Refugee Education program in Lebanon who talks about her low tech approach to teacher training. In this episode we look at the changing workplace and how you build a tech company for the future that enables career progression for all genders. We look at the story of Sarah Bagley, activist and the first female telegraph operator in the United States. We also speak to Dan Godsall of Womba about returning to work after maternity leave, Sigma's Elizabeth Buie about designing for our future selves, transgender rights attorney Jillian Weiss about the changing workplace and Rose Luckin, Professor of Learner Centred Design at UCL Knowledge Lab about how employers need to take more of a holistic approach to understanding the needs of its employees. From racist hand dryers to sexist search suggestions, there's plenty of examples of how software products have gender and racial bias built in. Why is that tech companies who may have diversity initiatives in place still struggle to produce ethical software products?